J.C. Penney | That Mall is sick and that Store is dead! Seriously, how stupid is this commercial? JC Penney to stop publishing &apos;big book&apos; catalogsAP – 11 hours agoPLANO, Texas — J.C. Penney will stop publishing its twice-yearly “big book” catalogs, now that customers increasingly shop online.Instead, J.C. Penney Co. says it will publish specialty catalogs and focus its efforts online, on the Web site jcp.com and on social networks. In part, the company says it is responding to consumer habits to view catalogs more as “look books.”The Plano, Texas, company will continue to publish its Christmas catalog and others, such as the “Little Red Book” for women&apos;s apparel and “Matters of Style” for men.Eliminating the hefty twice-a-year catalogs will cut the company&apos;s paper use by 25 percent to 30 percent in 2010.
via The Associated Press: JC Penney to stop publishing ‘big book’ catalogs. The J.C. Penney Co. Big Book is dead – a victim of shoppers’ growing reliance on the Internet. Plano-based Penney confirmed that its fall/winter 2009 catalog is its last semiannual, telephone-book-size volume. The Internet has made the 1,000-page shopping venue obsolete, and printing and transportation costs have been rising annually. The move also improves Penney’s environmental footprint, reducing its catalog paper use by 30 percent next year. Smaller, more frequent mailings of specialty catalogs targeting customers’ shopping habits make more sense today, said Mike Boylson, Penney’s chief marketing officer. Penney has catalogs supporting its large home-goods business, including its private label Cooks kitchen catalog and Rooms Babies Love. 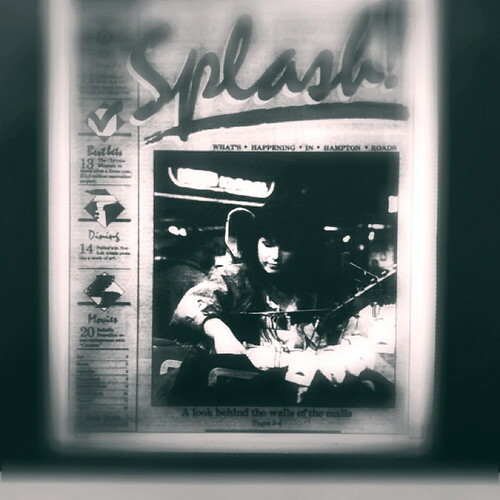 Along with several women’s and men’s apparel catalogs, the company determined that shoppers increasingly use catalogs as “look books” and inspiration for their store and online purchases. In the last two years, Penney consolidated its buying and marketing teams, which previously operated separately for stores, catalog and Internet sales. Big Book sales have been on a decline since 2000 as more shoppers turn to jcp.com. Penney’s online sales hit $1 billion a year in 2006. “It has an aging customer. Younger customers don’t shop the Big Book,” Boylson said. Once 1,500 pages, Penney’s Big Book dropped to well below 900 pages a few years ago. Since 2003, Penney has been shrinking its catalog operation, closing fulfillment centers and telemarketing operations. By 2004, about 40 percent of Penney’s catalog shoppers were placing orders on jcp.com, instead of calling an 800 number. Sales peaked in 1999 at about $4 billion. Penney stopped breaking out its catalog and Internet sales a few years ago. Penney’s Big Book circulation topped out at 14 million. It printed 9 million copies of the final volume. 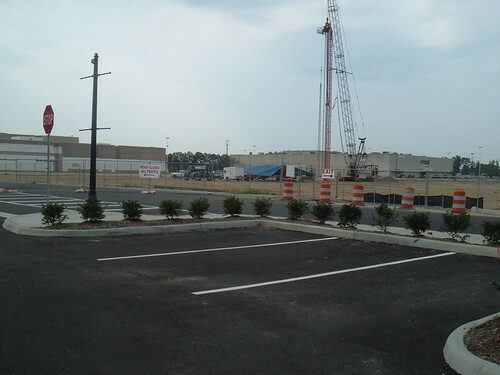 I took this picture in the new JC Penney parking lot. 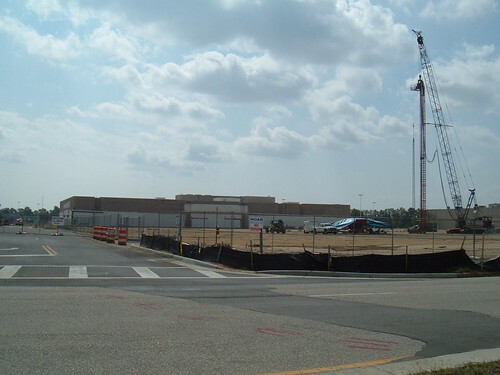 Everything was sold and moved out in early August, and the new JC Penney down from it was opened in late August. This one will be torn down. After this is torn down, the only building standing from the old Coliseum Mall days will be the Macys. 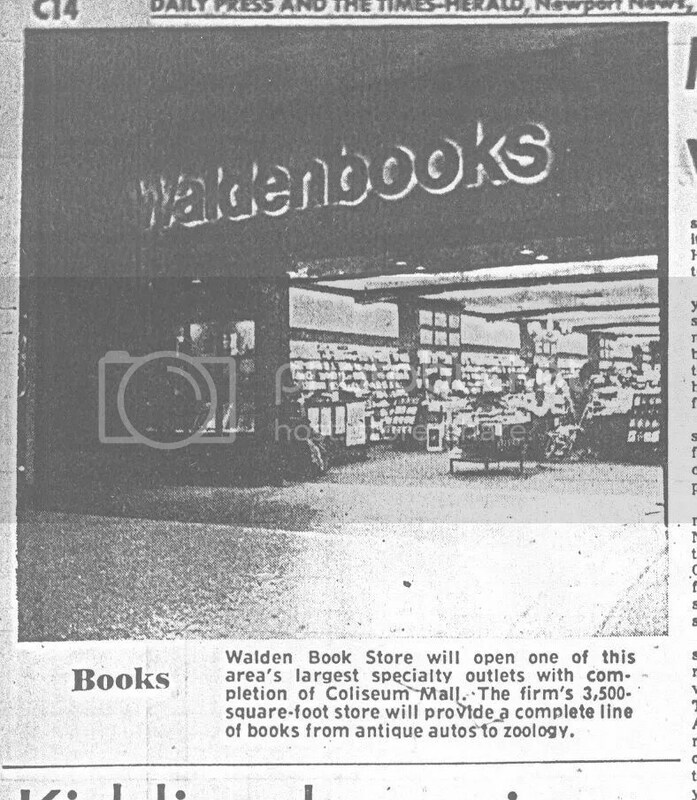 From only looking at a few photos, I think that Waldenbooks moved during its tenure at the mall. The directory that was in that 1973 paper had Waldenbooks near where Korvettes/Wards/Burlington was. I remember Waldenbooks from when I was growing up until they closed in 2002 or 2003 near Rices-Nachmans/Hess/Proffits/Dillards. 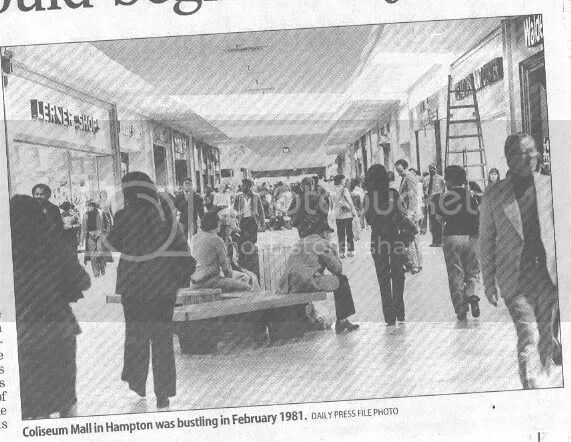 It was almost next to the short lived Disney store and almost across from the Coffee Beanery.“Mall Lerner’s Modern” more press releases passing for news articles like we saw in the Newmarket entry, also includes a bad photo of Coliseum’s Lerner location. I went in here when it was New York & Co. in 2002 with my half sister and the store was still pretty much stuck in the late 1970’s. A HUGE ad for the grand opening of the recently closed and moved JC Penney. That drawing of the building is pretty accurate. Yeah, I shoulda fixed this crookedness in iPhoto when I uploaded this months ago. This is from February of 1981, and reprinted in The Daily Press in April of 2005 when the redevelopment plans for Coliseum Mall was revealed.